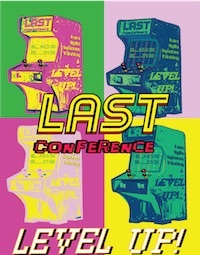 LAST Conference is an affordable, grassroots mini-conference for Lean, Agile, and Systems Thinking practitioners. The schedule encourages participation and interaction via talks, workshops and activities. LAST is designed to be a platform for cross-discipline collaboration and the development of professional skills and knowledge. The conference is rooted in the lean and agile movements but has a broader remit than just those domains. We are here to help people level up in their professional capabilities. People that come to LAST come from all walks of life and contribute together to grow the capabilities of the Sydney workforce. Together we make all of us better. Find out more about us on our website. Tell your interstate colleagues about LAST Conferences in Melbourne, Canberra and Brisbane, later in the year. Q: I have submitted a session, and I saw that people selected get a free registration. do I get my money back? A: Yes, just let us know, once you are selected. You might also like to hold onto the registration and give it to a colleague. As we always fill up, registrations become sought after. A: We have that covered on the Location page. A: You may send a substitute in your place, if you can no longer attend. EventBrite tells you how to change your details or transfer your registration. A: Please see the full FAQs and Registration FAQs.